Forget the old tile look with grout lines to clean. 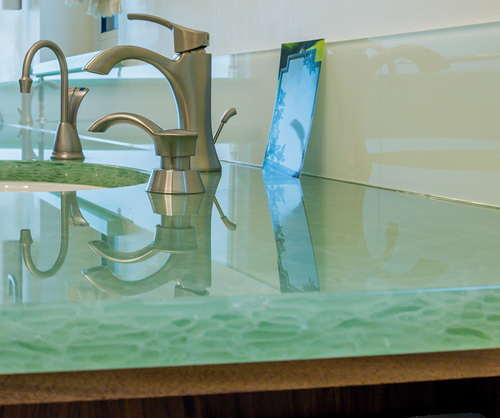 Go with a solid color glass for your kitchen and bathroom backsplash or shower walls! 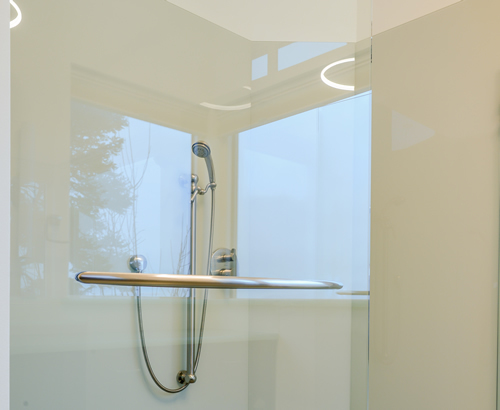 Colored glass offers fewer seams in a wide variety of standard or custom colors from a permanently bonded heat resistant back (side) color coat – giving you that ultra-clean contemporary look! Tempered low iron glass to meet code and give a more optically true color representation from our over two hundred pre-formulated color palate or choose from either Sherwin Williams or Benjamin Moore’s vast color selection. 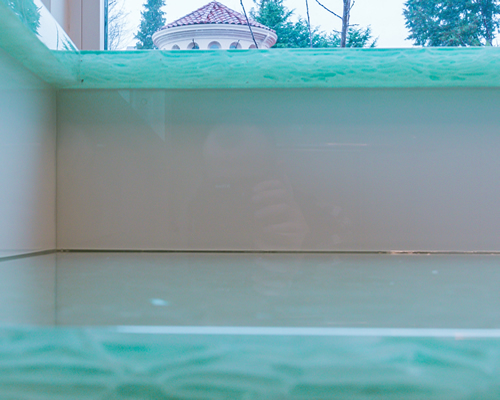 And….Yes….we can do a close color match to your counter tops! Our color coating is on the back side of the glass, bonds on a molecular level to the glass and has a ten year limited warranty against peeling or delaminating. Heat treating or “tempering” imparts a higher degree of strength and “shatter resistance” into the glass so in the event of a severe impact it breaks into a “corn kernel” size like many “safety glasses”. Essentially it is “safety glass” by definition and will meet most local building codes for these applications. 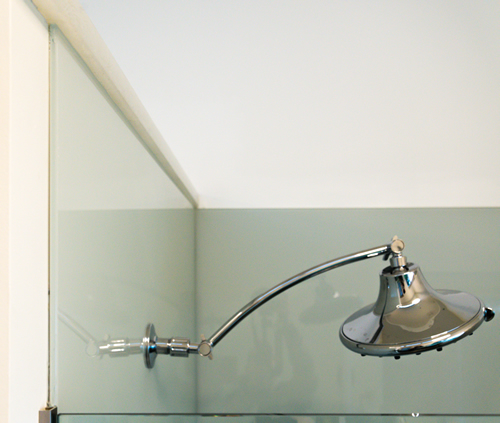 Glass is inherently “heat resistant” and our color coatings have been tested to incidental heat contact as high as 350F. We do custom sizes and shapes to fit your individual needs and an almost infinite color selection to suit your personal tastes. Size limitation at this time is 84” by 132” or 550 lbs. Available in thicknesses from 1/8” to 3/4″.